This magnificent Hampton’s style domain impressively showcases state of the art design, purpose-built for dual living combined with breathtaking proportions within picturesque 1,128sqm approx. natural surrounds. With its 6-star energy rated design, this 5-year old hidden oasis provides flexibility for dual family living. 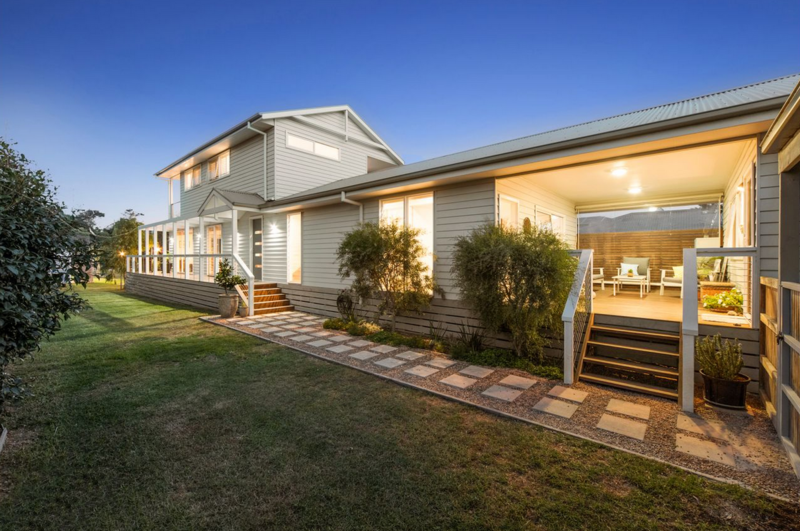 On entering the primary home, boasting 9ft ceilings and Chestnut timber flooring, is a large open-plan living and dining zone, enriched by sweeping garden views advancing all the way to Kananook Creek at the rear. The premium kitchen is impressively appointed with stainless steel appliances containing induction cooktop, soft-close gloss cabinetry, walk-in pantry and stone benchtops including huge island bench with breakfast bar. Seamless divides between indoors and out through stacking glass doors, expand the home to the sensational alfresco deck, stepping down to the gloriously deep, remote garden beyond. A lifestyle like no other is relished through direct access to Kananook Creek where you can kayak till your heart’s content, or sit and enjoy the peaceful nature surrounds of the reserve on your own private creek-side deck. 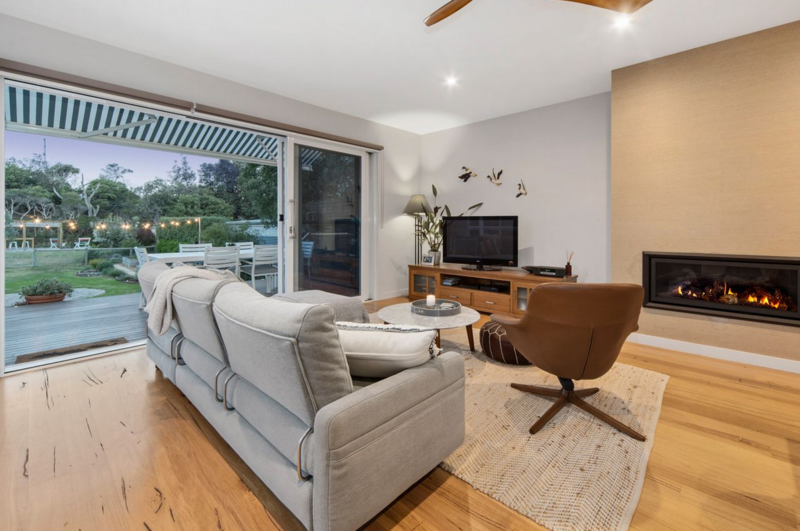 Elevated ceilings lead upstairs where a lavish parents retreat provides a peaceful escape, featuring a private balcony, luxe ensuite with stone benchtop and vast dual head shower, walk-in robe and adjoining landing perfect for a home office or sitting room. Downstairs, a second bedroom with built-in robes and garden outlook is zoned for easy access to the luxe, stone bathroom. 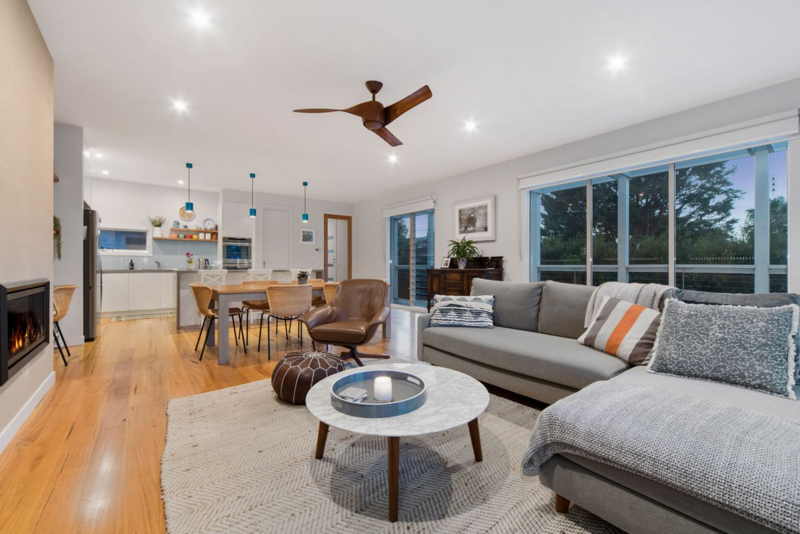 Beyond the shared covered deck, features the third spacious bedroom with built-in robes and chic ensuite bathroom with stone benchtop and combined laundry. 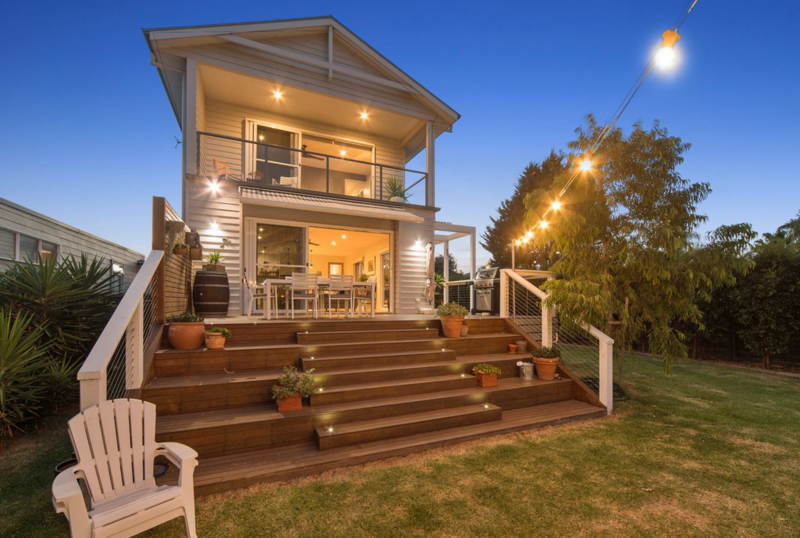 This brilliantly appointed quarter also boasts open-plan living with kitchen and dining, split system cooling and gas log fire, as well as a private deck and garden perfectly suited to the in-laws, teenage retreat or even a home business with private entrance. Comprehensive appointments include under stairs storage, 5kw solar (20 x 250w panels), 2,500litre water tank, louvre windows, plantation shutters, gas log fire in living zones, large laundry with external access to a private deck, ceiling fans throughout, ducted heating, refrigerated cooling and double carport with additional single garage/workshop at the rear, accessible through gates behind which provides secure parking for boats, caravans or trailers. A revered address hidden from the highway, yet only meters from the beachfront and located within walking distance to Seaford Village’s cafe and restaurant culture and train station.